You will see an old and a new castle in Sigulda as well as the largest sand cave in Latvia – Gūtmaņa Cave (Goodman’s Cave). It is the most popular cave in Latvia. 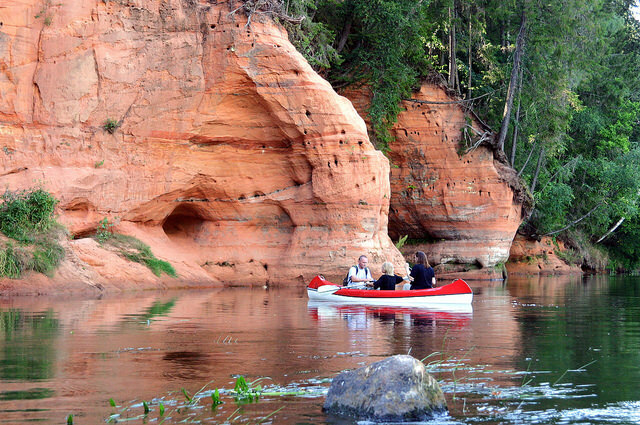 It was formed in the course of 10,000 years by water gradually eroding sandstone. The landscape around Gūtmaņa cave is perfect for a calm walk. 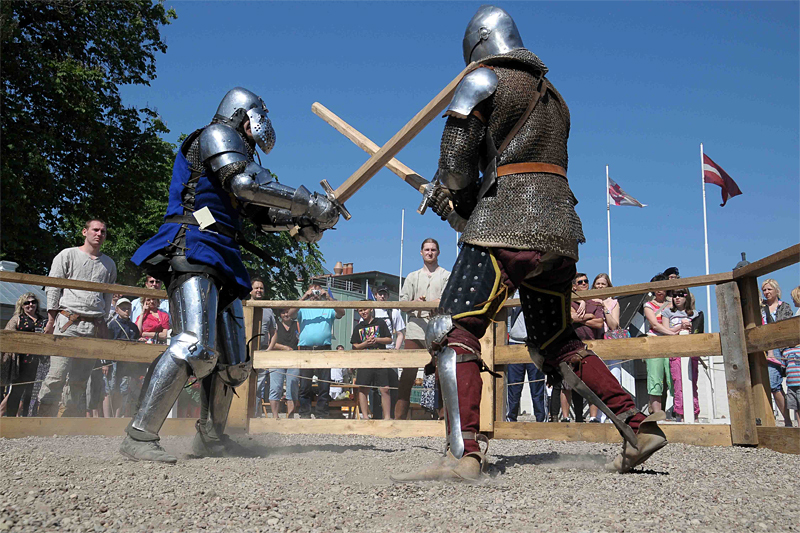 You will also have the opportunity to hear the legend of Rose of Turaida, see the medieval castle in Turaida, enjoy the magnicent panorama above the ancient bed of the Gauja river from the main tower of the castle. Turaida Museum Reserve is located 50 km from Riga and it is very much loved among the locals and the tourists for its beautiful surroundings and history. The name Turaida means “God’s garden” in the language of the ancient inhabitants, the Livonians. 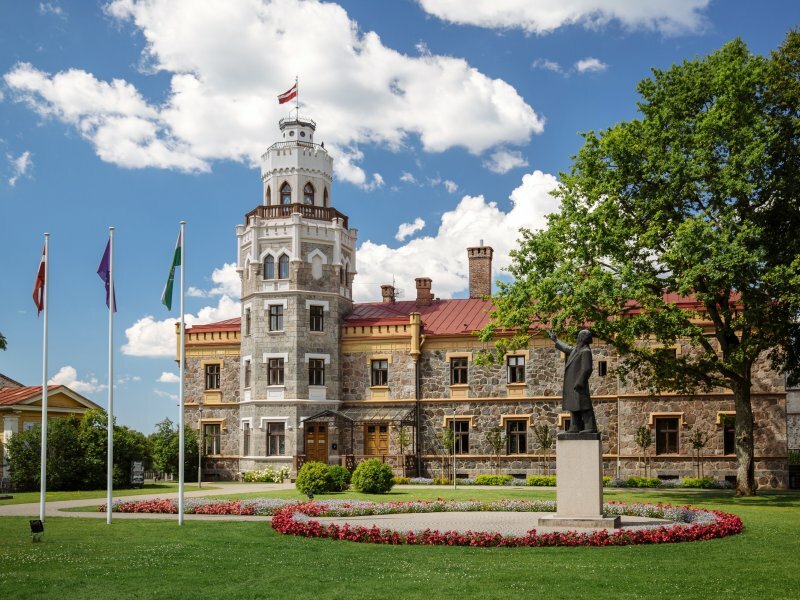 Few buildings in Latvia are located in such a splendid landscape – the castle is set on some 80 metres high strip of land between two ravines along the Gauja River. There is a marvellous view to be admired from its 27 metres high tower over the forested Gauja valley. If you wish you can also try seeing a fantastic view from the only aerial cable-way in the Baltic States. From a height of 42 m you can view the Gauja valley from the cable car that connects both banks of the river with the span of 1020 m. Оpened in 1969, this aerial cableway is the only one of its kind in the Baltic states. 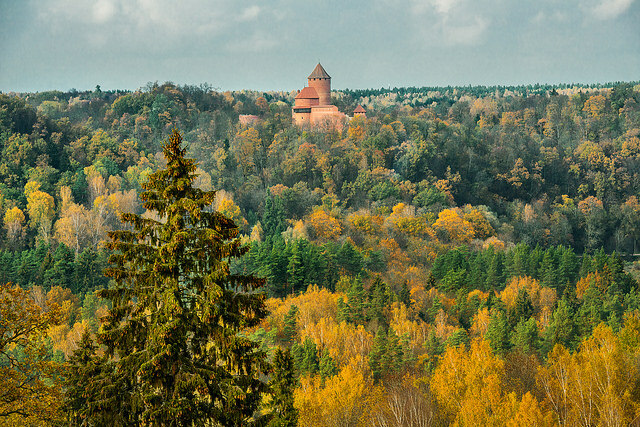 It was the result of a cooperation between Sigulda and Chiatura (a city in Georgia). You will also have the opportunity to visit the only amber workshop that is still left in Latvia. The workshop is located close to the famous Turaida castle. A third generation amber master invites you to attend his workshop and learn about the processing of the natural gemstone, as well as trying it on your own. A small souvenir shop is set in the workshop as well. Dinner during the tour is optional, however there are several nice restaurants and cafes in Sigulda where you can enjoy your meal.